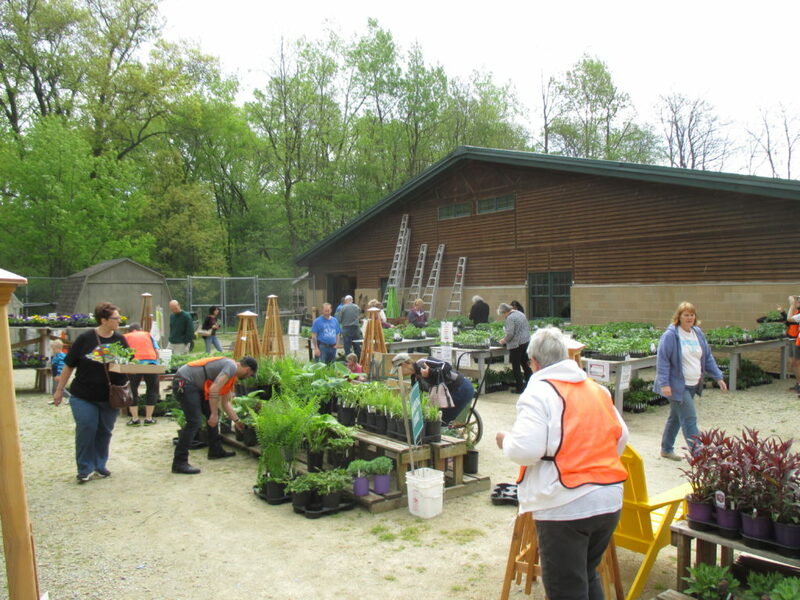 The Spring Plant Sale today went well with a strong turnout throughout the day. 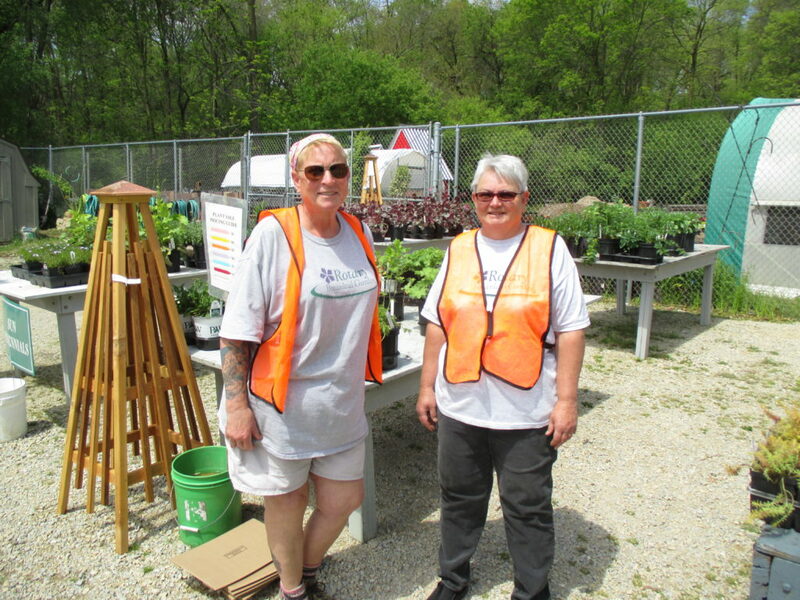 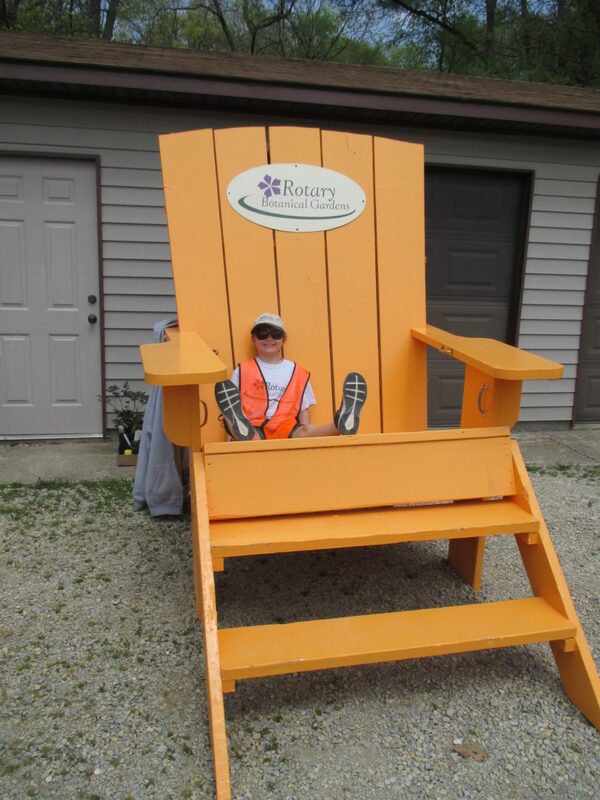 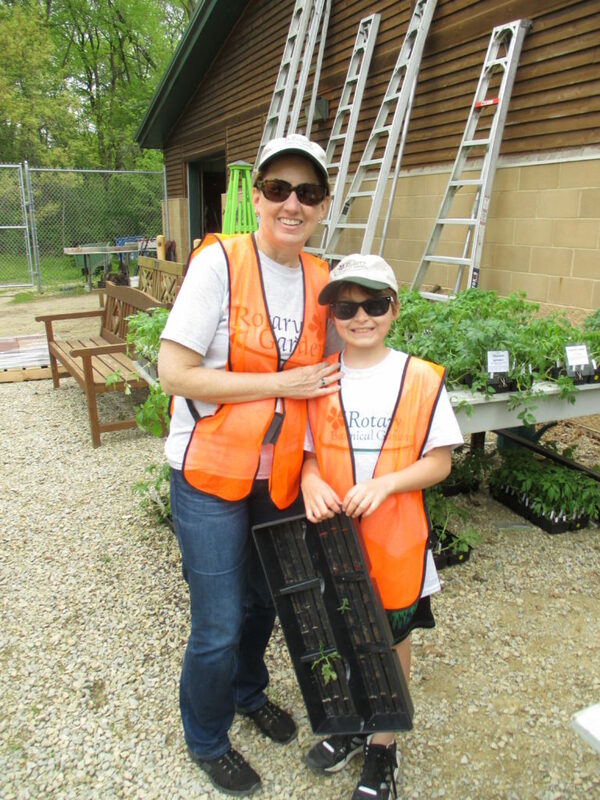 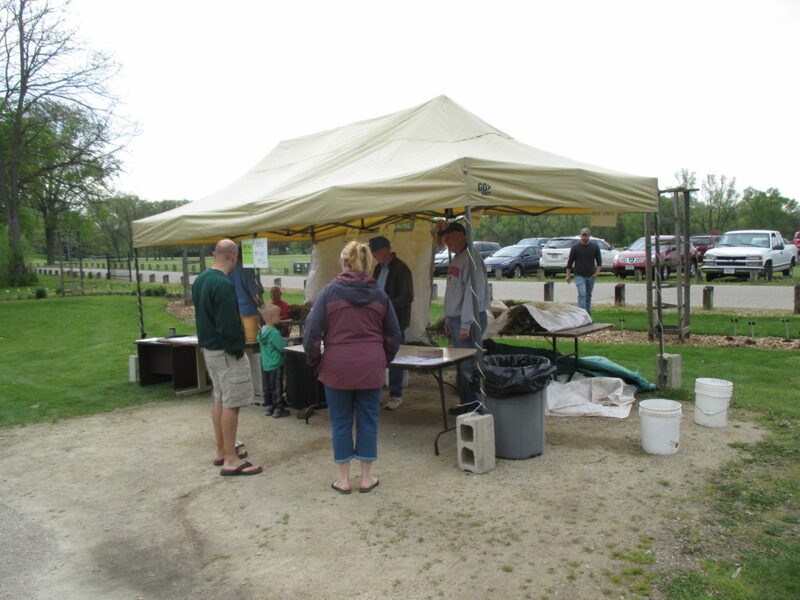 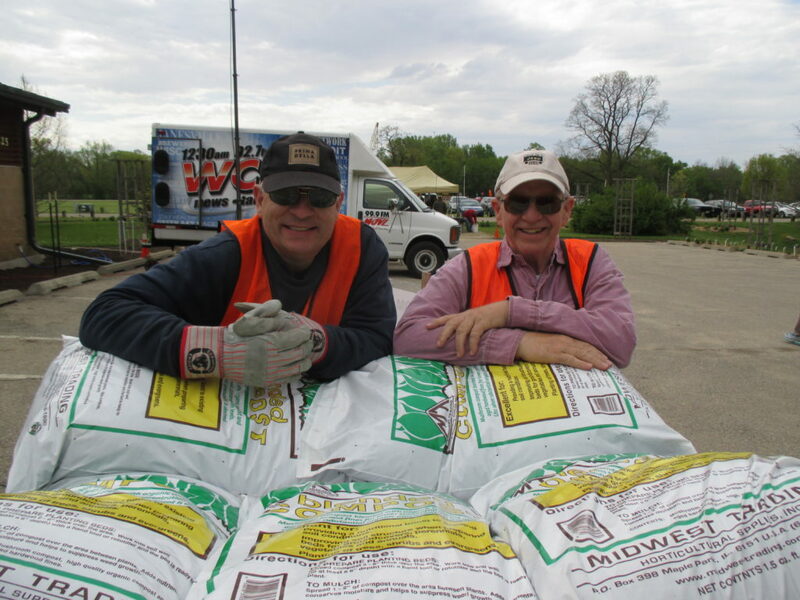 The weather was perfect after some light sprinkles disappeared and we had sunshine and temperatures in the upper 70 degrees F. Our volunteers did a wonderful job as usual and we’ll hope for another strong day tomorrow. 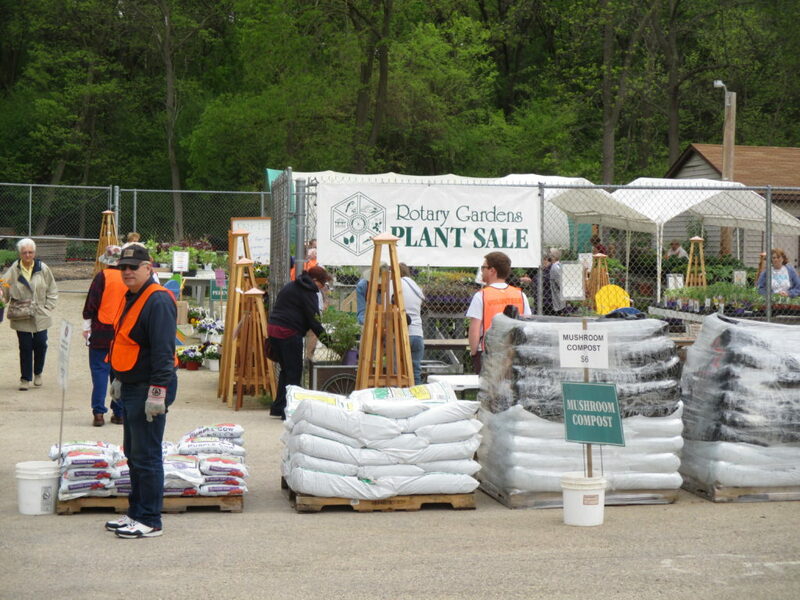 These photos highlight the event and some other action at the gardens on this busy weekend. 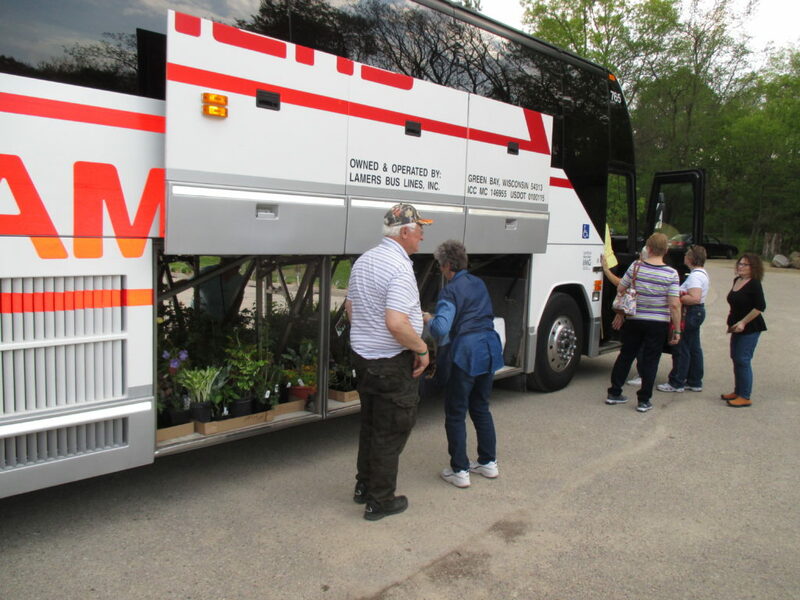 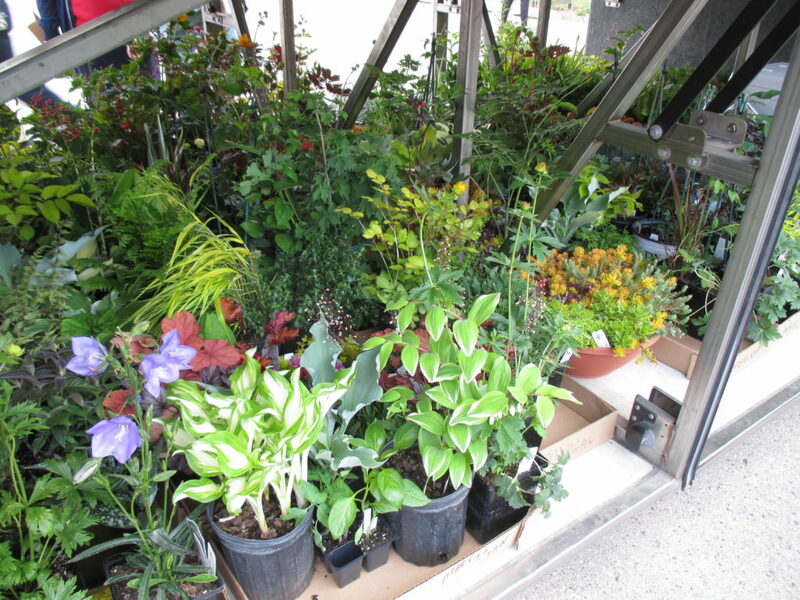 a bus (from Green Bay) stopped by the sale yesterday and they had only visited us as the second (of three) stops to buy plants…not much room left! 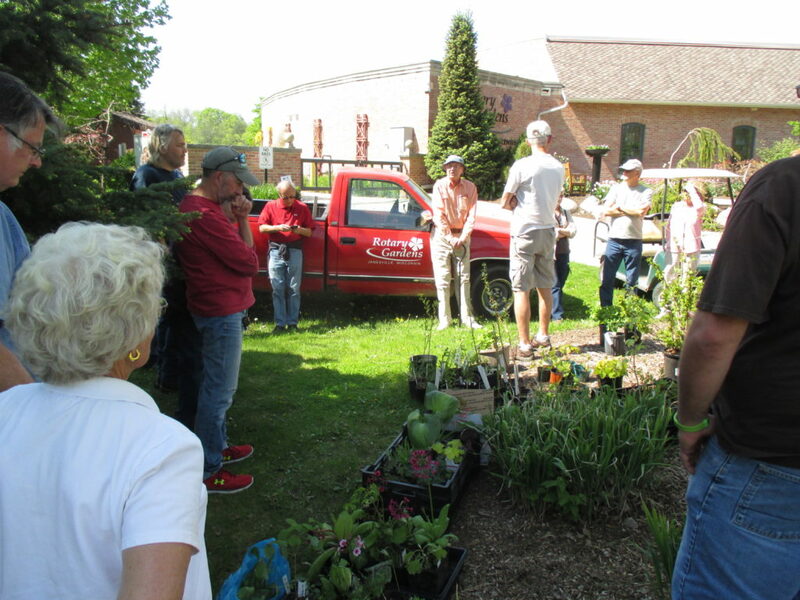 Members of the Wisconsin Woody Plant Society toured the gardens today and we had a great time. 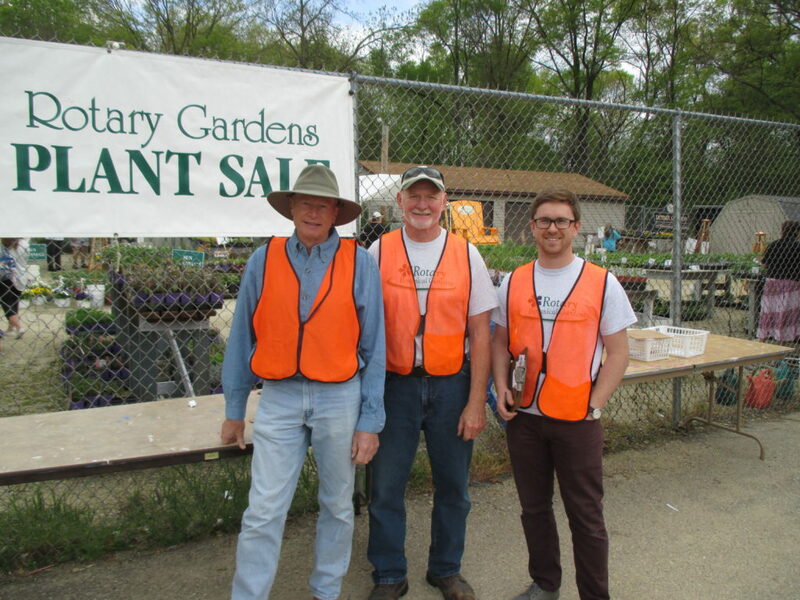 Above is the crew with Dr. Edward Hasselkus (salmon shirt), Dr. Glenn Herold (white shirt in center) and many others including some staff from Boerner Botanical Gardens (Hales Corners, WI). 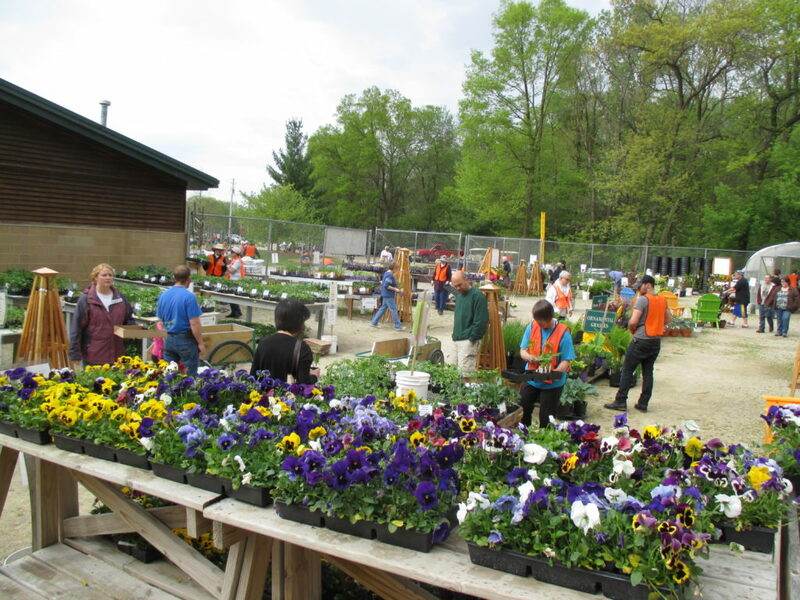 The group enjoyed the tour on this beautiful day and the above photo shows their plant exchange. 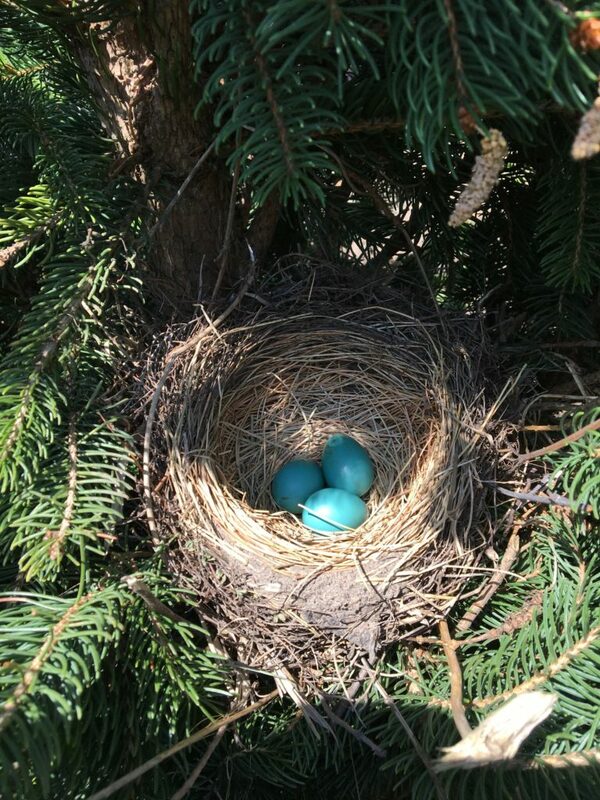 awesome Robin’s nest photo shared by Greg P.